If you are planning to start a business or wish to expand you existing business, the U.S. Small Business Administration (SBA) might be able to help you with financing. SBA is running several different loan programs, and most of them are for businesses who may find it difficult to obtain a traditional bank loan. In such situations, the SBA can helps out buy guaranteeing the loan, which essentially mean that the SBA (fully or partly) assumes the risk of the lender not repaying the loan. In most cases, you don’t borrow the money from SBA; you go to one of the many banks and lending institutions that participate in SBA programs. 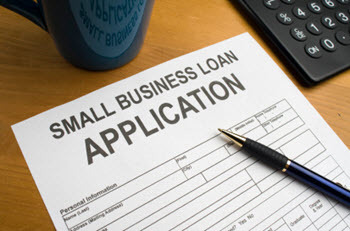 They have the forms that you need to fill out to apply for an SBA loan for your business. The U.S. Small Business Administration (SBA) was created as an independent agency of the federal government. The SBA aims to help the creation and expansion of businesses in the United States, Puerto Rico, Guam and the U.S. Virgin Islands. This is the most utilized of SBA’s business loan programs. Through this program, eligible borrowers can finance the creation, purchase or expansion of a small business. This program offers long-term, fixed-rate financing for growing businesses that need financing for one or more major fixed assets, e.g. real estate and buildings. This is a special program for loans that are too small to fit into SBA’s major lending programs. Microloans are available to start-ups, newly established businesses and growing businesses. These microloans are dispersed through non-profit community based lenders. The largest possible SBA microloan is 50,000 USD. Through this program, exporters can get a loan or line of credit up to 500,000 USD. This program is for businesses that need additional working capital to support opportunities for export sales. These international trade loans are intended to help place the borrower in a better position to compete. For businesses that plan to start exporting. For businesses that want to continue exporting. For businesses that have been adversely affected by competition from imports. Is your small business struggling to meet its short-term and cycling working-capital needs? The CAPLines program might be able to help out. The U.S. Community Adjustment And Investment Program (CAIP) was created to help U.S. companies in counties that have been negatively impacted by the North American Free Trade Agreement (NAFTA). This loan program might be able to help your business if it needs financing for the planning, design and/or installation of a pollution control facility. This program helps victims of disasters by providing low-interest loans that can be used to repair or replace real estate, personal property, machinery, equipment, inventory and business assets. You can be eligible for this program even if you don’t have a business, because it extends not just to businesses of all sizes but to homeowners, renters and private non-profit organizations as well. This program is for small businesses, small agricultural cooperatives and non-profit organizations that needs financing to recover from economic losses brought on by physical disaster or agricultural production disaster. If an essential employee who is a military reservist has been called into active duty, and your business is unable to meet ordinary and necessary operating expenses because of that, this program can help.